Notice the terms cure and mitigate. a. To make less severe or intense; moderate or alleviate. [A] physician must first understand the risk herself (or himself) and must then communicate it effectively. It is not clear that physicians do either of these things well. Addressing OB care, the JAMA article notes that only 9% of women accurately identified the benefits of a trial of labor after cesarean (TOLAC) over an elective repeat cesarean (ERCS), and only 37% accurately identified risks of a TOLAC. Patients also incorrectly identified the benefits of a fetal abnormality scan (90% overestimated the benefits), and 57% could not accurately identify the risks of amniocentesis. the increased risk of maternal death, neonatal respiratory compromise, and neonatal intensive care unit admission with ERCS. In addition, if our patient felt her provider had a preference, she was more likely to choose that mode of delivery, whereas when patients felt their providers were indifferent or if they were unaware of their providers’ preferences, 50% chose one mode and 50% chose the other. Note there is no indication that the women who did not feel the provider had a preference were making their own decisions based on accurate information. Jessica: I was told I need not waste my time trying to attempt a vaginal birth because it would be another long birth that would ultimately end in another section. The JAMA article, which is not focused on obstetric care in particular, does not address other common obstetric “treatments.” For instance, many physicians conduct ultrasounds routinely during pregnancy. A friend of mine said her doctor never measured her fundal height, instead conducting an ultrasound at every appointment, even though there is no indication that having ANY ultrasounds improves pregnancy outcomes. Other “treatments” for which women may not be adequately informed of benefits and risks include elective inductions, Pitocin augmentation, and episiotomies, along with any number of other “treatments” offered in prenatal care, labor, and childbirth. Women often believe they have no say in these procedures at all, as they are often presented as something that is going to occur rather than a choice that the woman can make. Unfortunately, though ACOG offers excellent guidelines on informed consent, in practice informed consent is rarely more than a women signing a form that she has no time to read, and informed refusal is never on the table at all. In fact some recent cases have indicated that in some cases doctors override a woman’s informed refusal, as in the case of Rinat Dray’s forced cesarean and Kelly X’s forced episiotomy. This study, and others, indicate that patients would opt for less care if they had more information about what they may gain or risk with treatment. Shared decision-making in which there is an open patient-physician dialogue about benefits and harms, often augmented with use of treatment decision aids, like videos, would help patients get that information. Unfortunately, shared decision making operates as a buzz phrase rather than a practice most of the time. Perhaps this uninformed approach to “treatment” is why Marinah Valenzuela Farrell, a certified professional midwife, and president of the Midwives Alliance of North America notes in the New York Times series “Is Home Birth Ever a Safe Choice?” that hospitals carry their own risks. They just don’t inform you about them. I once led a community service project for which middle schoolers baked cookies to deliver to a local shelter. We brought out the ingredients and began giving instructions when one kid asked if they could eat some of the cookie dough. 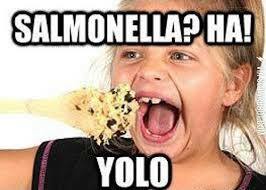 Another kid immediately said eating cookie dough would give everyone salmonella. Within seconds, we had two camps of shrieking middle schoolers, one with members who had eaten raw cookie dough all their lives and were just fine, and the other with members that insisted that eating raw cookie dough would lead straight to a week-long date with the toilet followed by certain death. 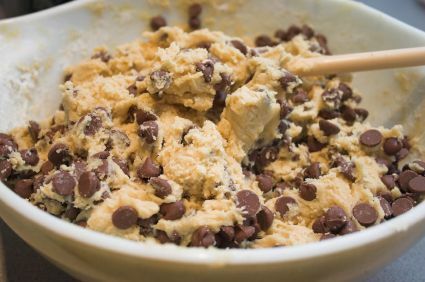 In fact, there is a tiny risk of contracting salmonella from eating anything with raw eggs in it, including cookie dough, but that risk is very small, and the risk of dying from salmonella is even smaller. There is also a risk of choking on raw cookie dough, or having an unexpected allergic reaction to an ingredient, or eating too much of it and having a stomach rupture. And there is a risk of getting salmonella from other foods, such as meat or salad greens–in fact, almost any food could be contaminated. All of this is to say that everyone assesses risks differently, and that people can get very upset when others don’t assess risks the same way they do. In the New York Times’ “Is Home Birth Ever a Safe Choice?” risk assessment is on everyone’s mind. Two obstetricians who specifically address risk come to two very different conclusions. When women decide where to give birth, they should understand the potential risks involved with their options….evidence shows that although the overall risk of serious childbirth complications remains low, there is still a twofold to threefold increased risk of neonatal death associated with home birth. This line is almost verbatim from ACOG’s 2011 Committee Opinion, “Planned Home Birth,” which says that “it respects the right of a woman to make a medically informed decision about delivery,” but goes on to say that the only risk obstetricians are obligated to share is the neonatal death death risk as determined by the Wax study. The Wax study, a meta-analysis of a number of other studies, was widely criticized for drawing faulty conclusions from flawed methods (see e.g. here, here, and here). Like OBs Grunebaum and Chervenak, who I critiqued in my previous post, Jennings, a professor at Texas Tech, suggests that hospitals strive for more home-like settings and partner more with nurse midwives (CNMs). He also suggests working with patients to create “action plans”–aka birth plans. Texas Tech OBs attend births at the Medical Center Health System’s Center for Women and Infants. The hospital reports to the Leapfrog Group, which says that they have made progress on reducing episiotomies (current rate is 12.2%,), but have low adherence to clinical guidelines for high risk deliveries, which would seem to negate the purpose of having a high-risk birth at the hospital. In their favor, they do appear to have one of the lower primary cesarean rates in the state for uncomplicated births at just over 12% (an uncomplicated or low-risk birth is generally defined as a healthy mother with a single, head-down, vertex fetus). OBs who say that hospitals should provide home-like setting, employ nurse midwives, and honor birth plans might want to begin at the hospitals where they themselves practice. Jennings also says, “As obstetrician-gynecologists, our goal with any delivery is a healthy mother and a healthy baby.” It’s not as if mothers’ and midwives’ goal is mothers and babies who are sick or dead. Jennings definition of “healthy” seems to be “alive.” Superfluous slicing, dicing, and infections are not even noted. The problem with assessing risk only in terms of neonatal death is that the risk of neonatal death is very small, while the risk of other birth complications is fairly large. Jennings’ hospital aside, the national cesarean rate for low risk births is 26.9% (the overall rate is 32.7%). This varies tremendously by hospital, with some achieving rates below 5% while others have rates that are over 80%. In discussing a recent British report about home birth, Caughey acknowledges “increased C-sections, episiotomies and epidurals as a reason to avoid in-hospital births” and “[t]he tradeoff of an increased risk of C-section for a small decreased risk in neonatal morbidity and mortality is not worth it for some women.” He goes on to emphasize neonatal death risks, but says that women should be educated and assess trade-offs for themselves. Oregon Health and Science University actually does offer some of the options that other OBs said hospitals should provide. They have midwives on staff attending births, tout their low C-section rates (which actually aren’t that low, but are below 30%), and offer waterbirth and vaginal breech births. Even though Caughey chairs the department at a hospital with many “home-like” options, he is the most open to the idea that some women might still choose to birth at home. Obstetricians are the people most likely to see the rare birth disaster, and understandably, such emergencies make an impression. Because even a low-risk birth can go wrong, many OBs see low-risk home births as risky, and Caughey pretty obviously believes hospital births are the better choice–which is absolutely his prerogative. At least he doesn’t imply that women who make different choices than he would simply don’t know what they are doing. Home and hospital births, however, are often compared to each other with little consideration of circumstances. For instance, home-to-hospital transfer rates for women who have had a previous birth are far lower than they are for women having a first birth–in the largest home birth study done in the United States, transfers were three times more common among first time mothers–22.9%–vs. 7.5 % for women who had birthed before. As mentioned above, the risk of an unnecessary C-section is very high at some hospitals and almost unheard of at others. Some hospitals are not even equipped to do on-the-spot emergency cesareans, resulting in bans on vaginal birth after cesarean. Thus, a woman might want to consider more than just home vs. hospital, but individual circumstances–does her pregnancy have elevated risk? Does the hospital available to her offer evidence-based care? What are the skill levels of the various practitioners available at the hospital or at home? Planned home births were associated with fewer maternal interventions including epidural analgesia, electronic fetal heart rate monitoring, episiotomy, and operative delivery. These women were less likely to experience lacerations, hemorrhage, and infections. Neonatal outcomes of planned home births revealed less frequent prematurity, low birthweight, and assisted newborn ventilation. It is presumptuous for obstetricians to offer only neonatal death rates when giving women information about risks of home vs. hospital births. While the risk of neonatal death is a very serious one, it hardly ever happens. Wax estimates the risk to be about 2/1,000 for home births vs. a little less than 1/1,000 for hospital birth. On the other hand, a hospital with an 80% cesarean rate for low-risk births would give a woman an 800/1,000 chance of having a cesarean vs around 50/1,000 if she births at home. Women take the lives of their babies very, very seriously. It is almost certain that every mother loves her baby more than any obstetrician does. With accurate facts about all aspects of birth, women are capable of doing their own risk assessments, and they have the right to choose even high risk home births, despite the opinion of you, an obstetrician, or anyone else who doesn’t agree with her choice. For the record, I have eaten raw cookie dough all my life and am just fine, but you don’t have to have any. As for the service project, we had bought pasteurized eggs, and all of the kids enjoyed cookie dough to their heart’s content. 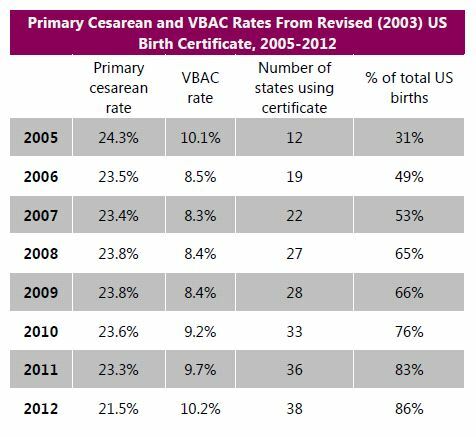 There has been renewed interest in cesareans in the news (and on this blog) since the release of the ACOG/SMFM consensus statement on preventing primary cesareans in March. When all health care providers are following best practices, rates of procedures should be relatively similar in patients with similar risk profiles. This is not so for cesareans, where rates of the procedure in low risk births (singleton, cephalic fetus at term; woman with no health complications) can range from less than 5% to nearly 60% depending on the hospital. Why such profound variations? Should our standards of medical practice be so flexible? The answer is “complicated” replies Dr. Kirsten Salmeen of the Maternal Fetal Medicine Division at UC San Francisco. She thinks variations in cesarean rates across the country are “likely due to a combination of factors.” That includes differences in patient populations and preferences, provider availability and coverage, hospital and provider culture, access to anesthesia and surgical obstetric services, and the prevailing medico-legal climate. For example, Salmeen proposed that a difference in rate might depend upon the scope of available obstetrical services. In a hospital staffed with 24/7 obstetric coverage and resourced to provide a C-section when needed, a woman might be allowed more time for labor with a vaginal delivery. In contrast, that may not be as feasible with a solo or small-group provider who’d have to cancel scheduled clinic appointments with many patients in order to wait upon one patient’s labor. While resource allocation can affect cesareans, in many countries, scant resources mean that women cannot get cesareans that they do need, which is one reason infant and maternal mortality rates are so high in developing nations where hospitals are not universally accessible by birthing women. It seems preposterous that a lack of resources would lead to more cesareans–it’s how those resources are allocated. Unfortunately, the kinds of things the actor says are often not that far from things some obstetricians say in real life. As Dr. Elliott Main (a generally great guy) points out, a doctor can convince pretty much any woman to have a cesarean. Few women will refuse when a doctor tells them their baby is in danger. That’s a much easier sell than needing to get back to the office. …Brazilian mother Adelir Carmen Lemos de Góes was preparing for her third birth. Despite living in a country with one of the highest caesarean rates in the world (82% for those with private insurance and 50% for those without), she was looking forward to giving birth vaginally after previously having caesareans she felt were unnecessary. However, in the midst of her labour, six armed police banged on her front door. Despite there being no question of reduced mental capacity, doctors had obtained a court order allowing them to perform a caesarean…Adelir was taken from her home, forcibly anaesthetised and operated on without consent. In our culture, childbirth is something that is primitive, ugly, nasty, inconvenient….It’s part of Catholic culture that this experience of childbirth should come with humiliation. There’s no horizontality between patients and doctors. Doctors are always above us. We have a really serious problem in Brazil that the doctors over-cite evidence [of fetal distress]. They think they can interfere as they would like. 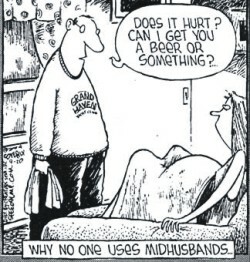 Here, when a woman is going to give birth, even natural birth, the first thing many hospitals do is tie her to the bed by putting an IV in her arm, so she can’t walk, can’t take a bath, can’t hug her husband. 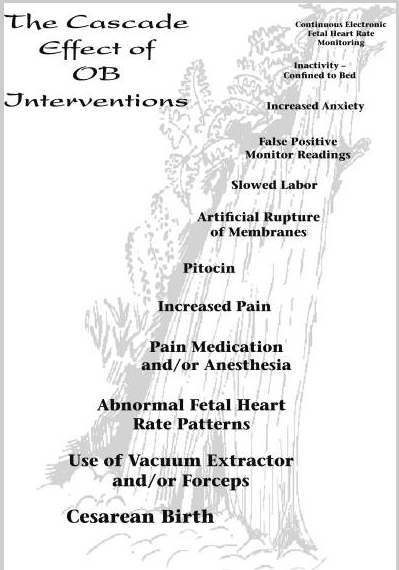 The use of drugs to accelerate contractions is very common, as are episiotomies. What you get is a lot of pain, and a horror of childbirth. This makes a cesarean a dream for many women. 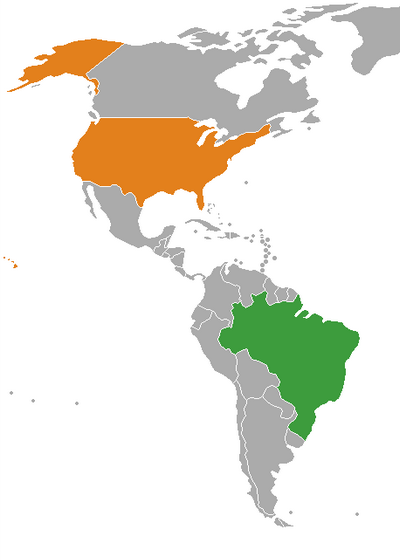 In the United States, Pitocin induction and augmentation are ubiquitous , and episiotomies, though less common than in Brazil, are still greatly overused. Almost all U.S. hospitals use IV hydration as a matter of policy (rather than allowing women to eat and drink as they please, which is the evidence based recommendation). And in the U.S., taking a bath in labor may be impossible, as many hospitals do not provide bathtubs out of a misguided fear of women attempting waterbirths. The website My OB Said What documents a seemingly endless stream of U.S. health professionals’ humiliating comments, such as referring to a pregnant women as a “little girls,” criticizing their weight, or belittling their pain. Court ordered cesareans occur in the United States as well, as Erin Davenport documents in “Court Ordered Cesarean Sections: Why Courts Should Not Be Allowed to Use a Balancing Test.” Davenport notes that forced cesareans are generally ordered because of concerns for fetal welfare–as in Brazil, U.S. courts often privilege the rights of the fetus over those of the pregnant woman. Alissa Scheller created infographics on Huffington Post showing how states’ policies are used to persecute and prosecute pregnant in the name of fetal welfare. National Advocates for Pregnant Women, whose research supplied much of the information for the above graphic, documents the legal control of pregnant women that occurs in the name of fetal rights, such as prosecuting a woman for murder after a suicide attempt while pregnant (in this case, the baby–born by cesarean–was alive, but died a few days later). With the higher price of the private system [in Brazil] comes better amenities and shorter wait times, but also all of the trappings of fee-for-service medical care. C-sections can be easily scheduled and quickly executed, so doctors schedule and bill as many as eight procedures a day rather than wait around for one or two natural births to wrap up. So you’re stuck with this situation where we’re doing things, not based on science. 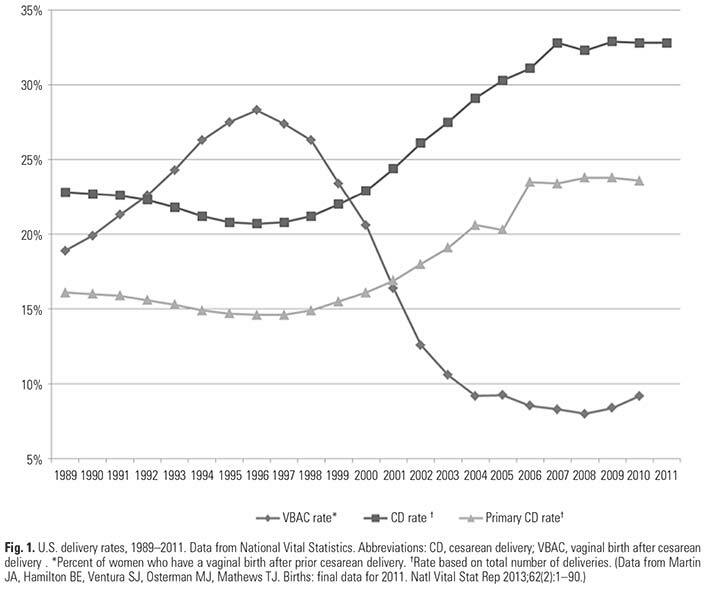 [The increase in C-sections is] really based on protecting the institution and ourselves. And, you can’t blame them. Getting sued is a horrible thing for the physician, a horrible thing for the nurse, and a horrible thing for the institution. And the woman? Well as long as the baby is healthy, does she matter?